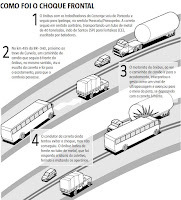 A severe accident happened two months ago in Brazil, involving a truck with a wind tower part, and a bus. It caused 15 deaths on the spot, with at least two more dying afterwards, and 16 injuries. 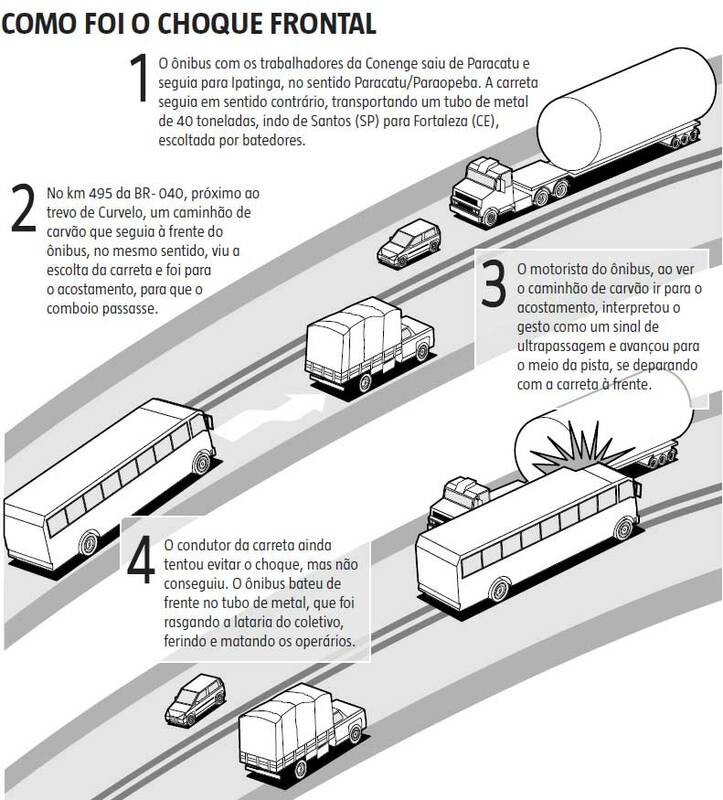 The accident was apparently caused by a mis-interpretation of the bus driver, where all the dead were traveling, as depicted in the image on the left. Basically, the truck with the 40 ton wind tower piece was preceded by a signaling car. In the other direction, a coal truck, viewing the signaling car, signaled right to get to the side of the road, so the big convoy could pass. The driver of the bus, that was following the slow coal truck, interpreted the right indicator sign as a signal for overtaking the coal truck, a signal that is quite common. The accident followed. The accident happened in an area with no mobile signal. The first images on the spot are in the first video below (ATTENTION: This is a raw video with SHOCKING images and will probably be removed from Youtube). The second video below is from Reuters. The wind tower was being reportedly transported from Santos to Fortaleza, a 3000 Km trip. I wonder why this transportation is not being done by boat, since the two regions are near the sea. While all reports blame the bus driver for the accident, this is certainly the accident involving wind energy with the biggest death toll until today. May They Rest in Peace.